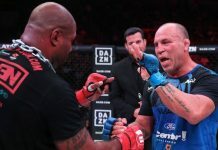 Back in June of 2017, PRIDE legend Wanderlei Silva came up short in his long-awaited Bellator debut, losing a decision to his nemesis Chael Sonnen. 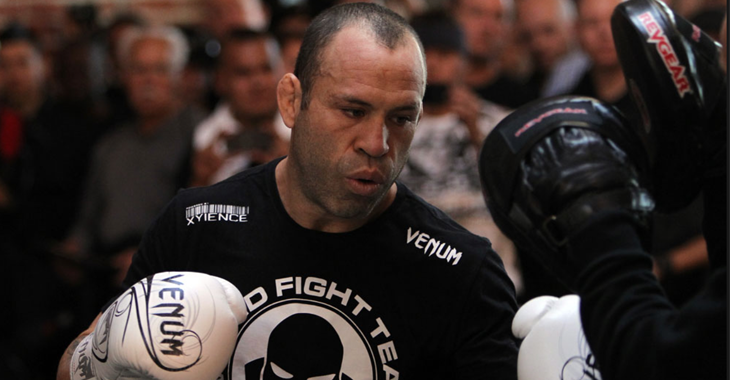 Since then, Silva fans have been wondering what – if anything – will come next for the aging legend. 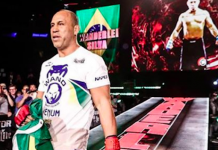 While nothing is certain just yet, it seems Silva himself is considering a rematch with the ostensibly retired Chuck Liddell, who he lost a close decision to back in the year 2007. Silva hinted at this possible rematch in a Tuesday post to Instagram. 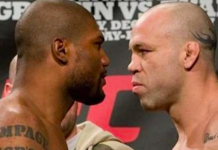 “Again?” Silva queried simply in the caption for a photo of himself and Liddell squaring off. There has been buzz about a possible Chuck Liddell comeback for the better part of a year, yet every time it sounds as though it might actually happen, it all falls apart. 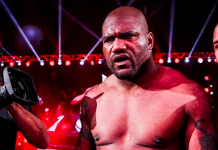 Shortly after a few meetings with the retired legend, for example, Bellator president Scott Coker stomped out the possibility altogether. Despite these comments from Coker, however, Silva still seems interested in a do-over with Liddell. 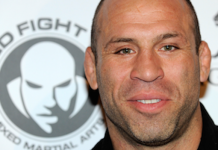 Would you be interested in seeing Wanderlei Silva and Chuck Liddell fight once again in the Bellator MMA cage, or is this rivalry better kept in the volumes of history? Join the debate in the comments section! 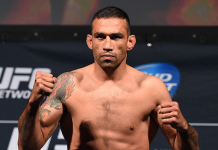 This article first appeared on BJPenn.com on 1/16/2018.